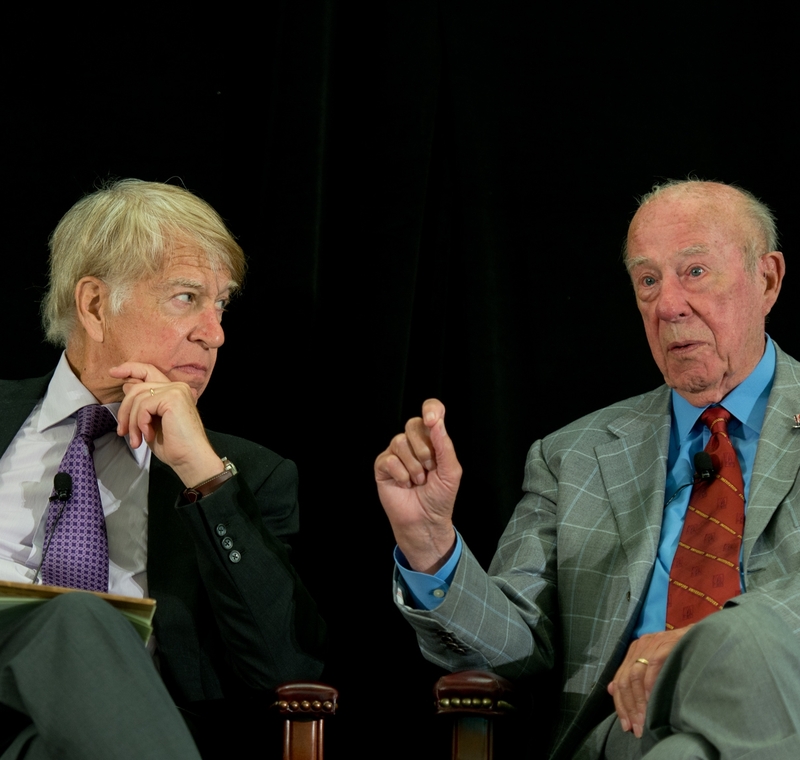 Roger C. Altman is Founder and Senior Chairman of Evercore, which, in most years, is the most active independent investment bank in the United States. He served two tours of duty in the U.S. Treasury Department, initially serving President Carter as Assistant Secretary for Domestic Finance and later serving President Clinton as Deputy Secretary. Altman is a Trustee of New York-Presbyterian Hospital, serving on its Finance Committee and is a Trustee of MIT. He also serves as Chairman of New Visions for Public Schools and is a member of the Council on Foreign Relations. He received an AB from Georgetown University and an MBA from the University of Chicago. One simple question—Are wages rising?—is as central to the health of our democracy as it is to the health of our economy. For the last few decades, the U.S. economy has experienced real wage stagnation. 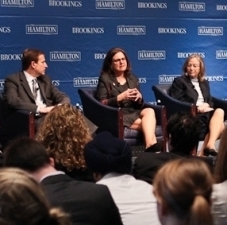 On February 28, The Hamilton Project at the Brookings Institution hosted a forum to explore the most effective policy options to revitalize wage growth. 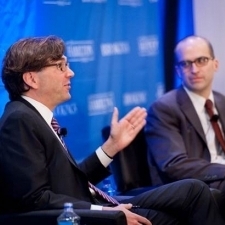 In the years following the Great Recession, many economists and policymakers agreed that fiscal stimulus was critical to improving the faltering economy and helping to save or create millions of jobs. There is less agreement, however, on whether the stimulus should have been larger, if it contained the correct mix of tax cuts and targeted government spending, and whether it optimally utilized income support programs—notably TANF and SNAP—to stabilize the economy and protect millions of households from falling into poverty. 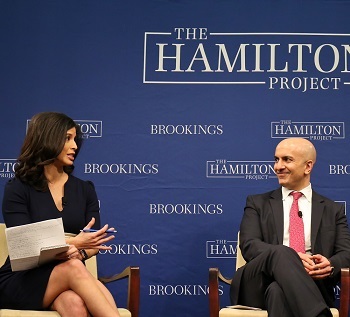 On May 23, The Hamilton Project at Brookings hosted a policy forum addressing how to make better use of fiscal stimulus in future downturns, with a focus on three new Hamilton Project papers. 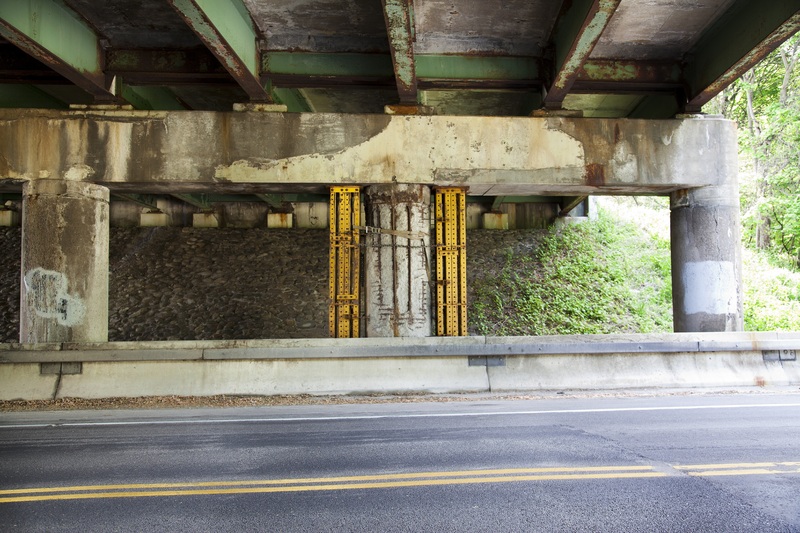 The nation’s transportation infrastructure, it is widely agreed, is eroding and in need of long-term, innovative policy solutions and adequate investment. In this discussion paper, Roger Altman, Aaron Klein, and Alan Krueger propose improvement and expansion of the Transportation Infrastructure Finance and Innovation Act (TIFIA) lending program, reauthorization of Build America Bonds, better utilization of the Army Corps of Engineers and the Harbor Maintenance Trust Fund, and reform of the federal gas tax. On May 1st, The Hamilton Project at Brookings will host a forum and release three new papers focusing on crime and incarceration in the United States. Former U.S. Treasury Secretary Robert E. Rubin will deliver opening remarks, and Senator Richard Durbin (D-IL) and Senator Mike Lee (R-UT) will join the forum to discuss the Smarter Sentencing Act of 2014, which was recently passed by the Senate Judiciary Committee with bi-partisan support. On March 24th, The Hamilton Project hosted a forum addressing key challenges with the allocation and regulation of wireless spectrum. 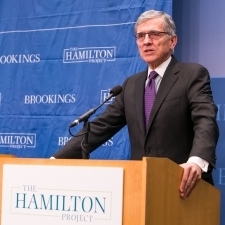 The event featured keynote remarks by FCC Chairman Thomas Wheeler. More than half of American families earn $60,000 or less a year — outside of poverty but with limited economic security. Many of these families rely on government programs for support and one major setback could throw their lives into chaos. 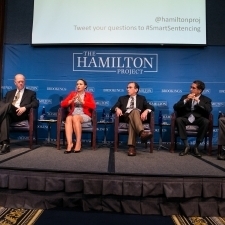 On December 4th, The Hamilton Project hosted a forum to highlight two new proposals for aiding America’s lower middle class families featuring a diverse range of experts. 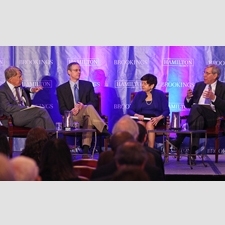 On April 17th, The Hamilton Project at Brookings and Results for America, an initiative of America Achieves, co-hosted a forum and released two new papers on the important role of evidence in policymaking. U.S. Senator Rob Portman (R-OH), U.S. 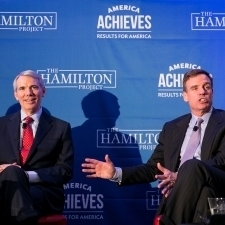 Senator Mark Warner (D-VA), Alan Krueger, Chair of the President’s Council of Economic Advisers, and other distinguished experts participated in roundtable discussions on the proposals and how evidence-based policymaking can improve the effectiveness of federally funded programs. On February 26th, The Hamilton Project hosted a forum featuring a diverse group of experts from around the country who discussed 13 targeted policy proposals that were released that day on reforming entitlement spending, tax reform, and how to create new sources of revenue and efficiency. The proposals provide specific strategies on how lawmakers can address many different areas of the budget, and address options to reduce both mandatory and discretionary spending. 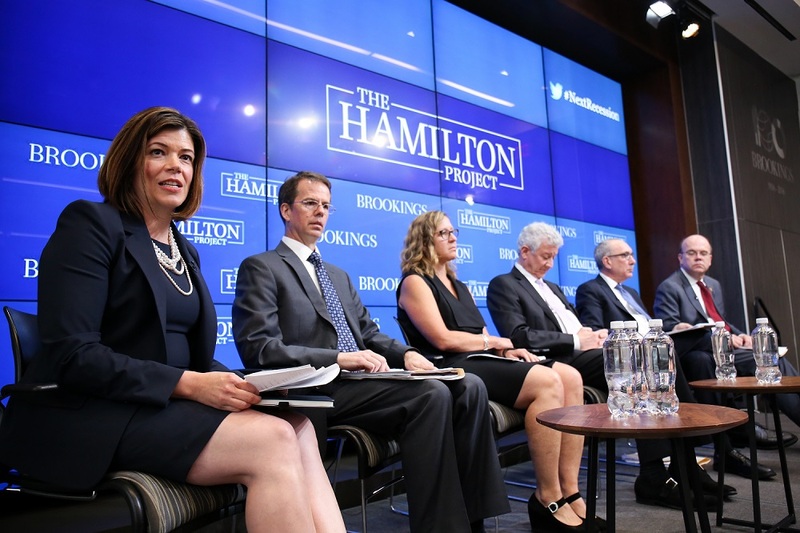 On September 27th, The Hamilton Project at Brookings hosted a forum to discuss new approaches to promoting attainment and achievement in K-12 education. 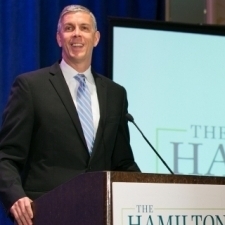 The event included featured remarks by U.S. Secretary of Education Arne Duncan, highlighting recent progress on education reform, the difficult work still ahead, and the need for innovation to help advance reform efforts. The U.S. energy system is benefiting from an unprecedented increase in North American supplies of natural gas and petroleum. These changes are strengthening our economy and altering the relationships between our energy choices and health, climate change, and national security. 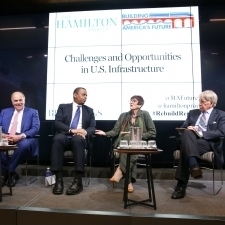 On June 13th, The Hamilton Project at Brookings held an event at Stanford University to explore how to best manage these opportunities while achieving our long-term energy and environmental goals.